I just opened a Swift project on the new Xcode 7. I didn't really look on what button I clicked and closed the migration tools without migrating anything. Any idea how I could reopen it? Not the answer you're looking for? 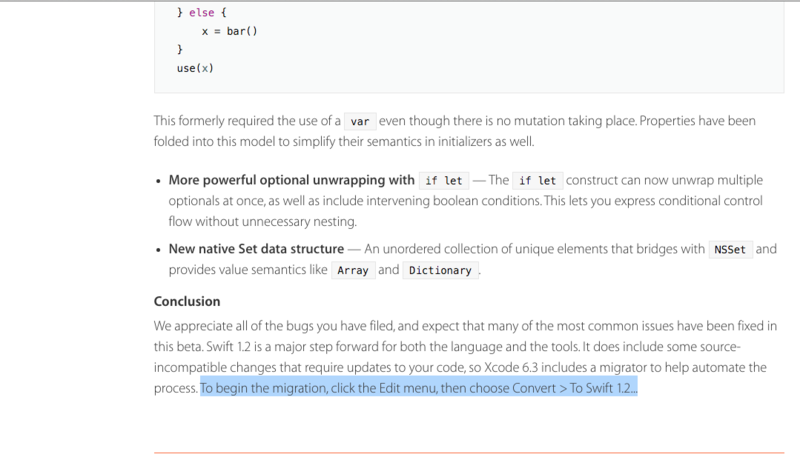 Browse other questions tagged xcode swift . How can I remove annoying messages about versioning from Xcode?